The Y.W.C.A. 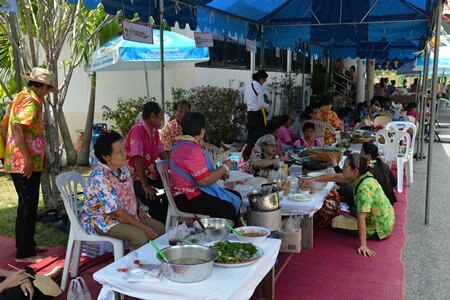 Bangkok-Pattaya Center and the Rotary Club of Phoenix-Pattaya organized activities and musical shows for about 100 senior citizens at the Banglamung Home for the Elderly’s Elderly Day celebration. 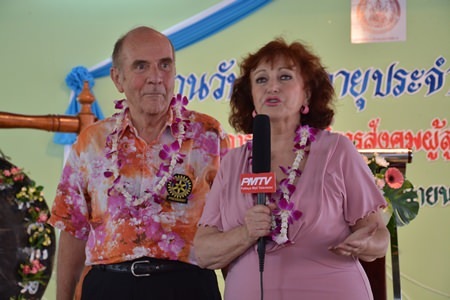 Home director Yani Lerdkrai emceed the April 8 event, which saw the Dancing Seniors Club from the Apakornkiathiwong Hospital in Sattahip and the colorful cabaret performers from the Alcazar Theatre put on stage shows. Yani Lerdkrai strikes the gong for the opening of the ceremony. 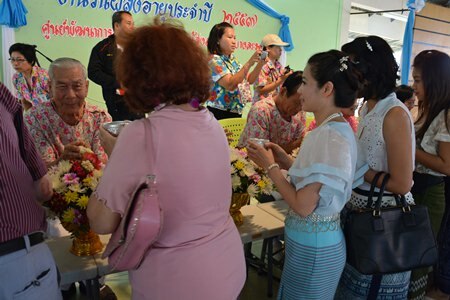 The main activity of the occasion took place before the ceremony concluded, which was the lustral water pouring ceremony to pay respect to the elders and ask for good fortune in return. 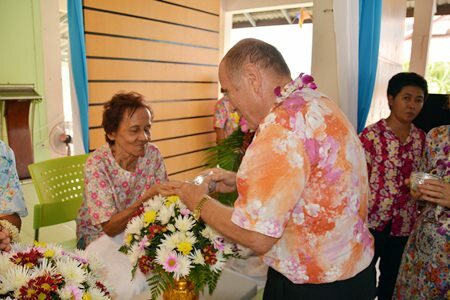 The ceremony also featured various booths offering massages, haircuts, basket making, health services, foot massage by coconut shells, fortune telling and much more. Rotarians and members of the YWCA pose for a commemorative group photo. 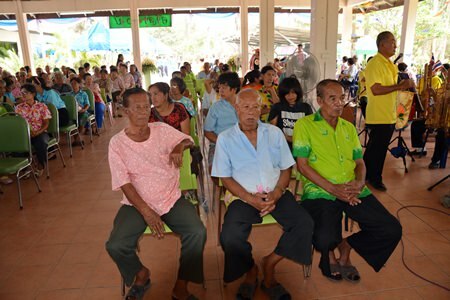 Chartchai Chanthanon, 70, also misses his children and wants to live with them in Chonburi. However, he said, his sons don’t want him to stay there. They do visit two or three times a month, he said. Yani Lerdkrai pours lustral water into the palms of respected elders. 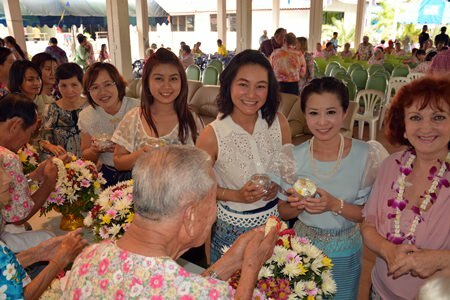 “For Songkran, I would like to wish everybody plenty of joyfulness in life. 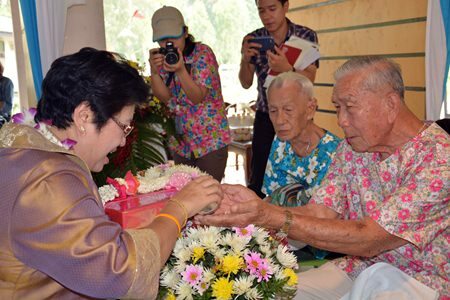 The best thing is to live with somebody you love and the people who need you in their life” Chartchai said. 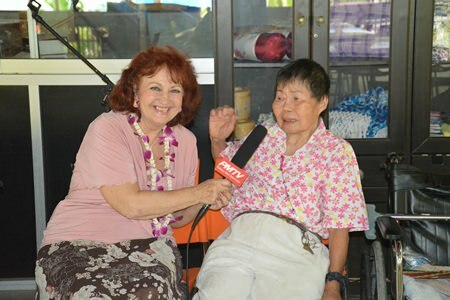 Yani made cash donations to two seniors and presented a wheelchair, exercise machine and electric kettles. The Y.W.C.A. donated many products, including towels, bathroom amenities and other household goods. 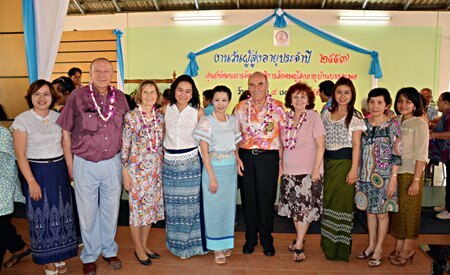 Rotarians and members of the YWCA join the lustral water pouring ceremony. Chubby dancer from the Alcazar Cabaret amuses the audience: she’s got the moves. 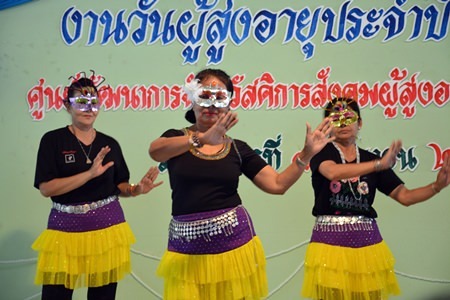 Who are those masked women? 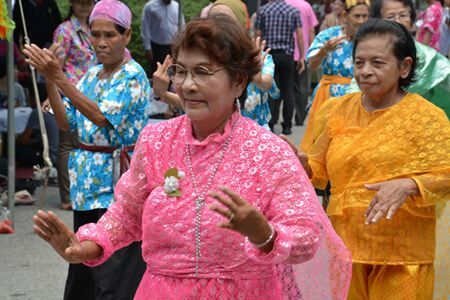 Why, it’s the Sattahip Apakornkiathiwong Hospital Elders Club Dancers impressing their fans. Beautifully dressed dancers from the Alcazar Cabaret stun the crowd. 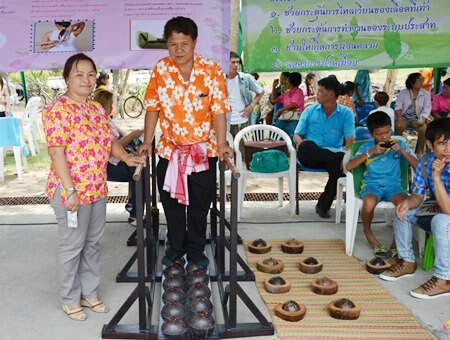 Foot massage by coconuts is a popular attraction at the home. 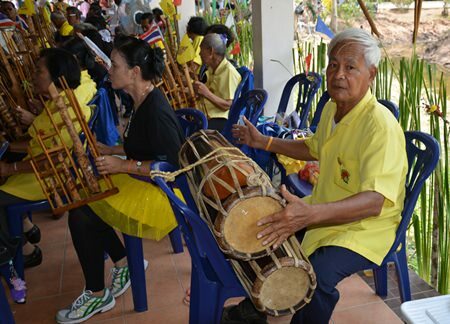 Playing music is a great way to keep young. The women look beautiful in their holiday outfits. 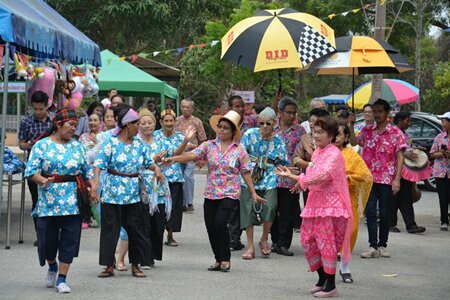 Any celebration at the home wouldn’t be complete without a great ramwong dance.